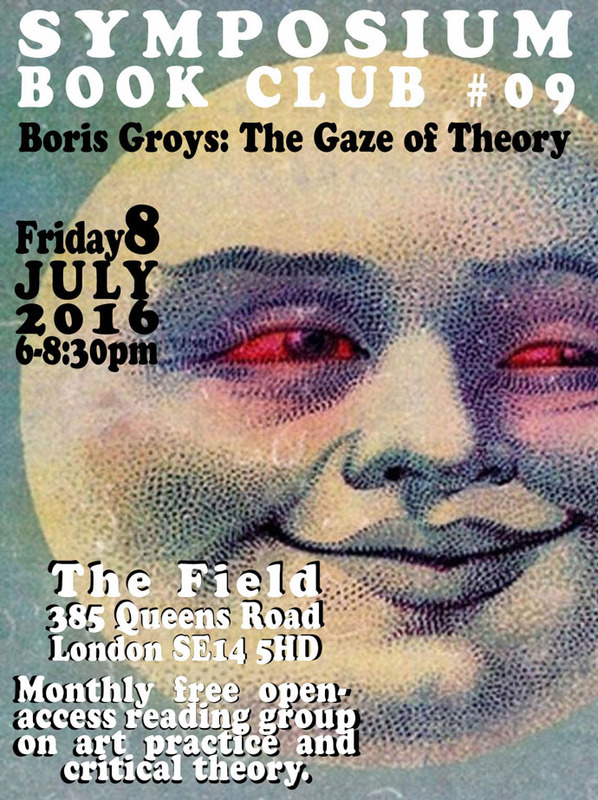 In July we will be reading Boris Groys’ Under the Gaze of Theory (2012) on the uses and abuses of theory in art practice. This discussion will be chaired by Sophia Kosmaoglou with Johanna Kwiat in the role of respondent. DOWNLOAD: Groys, Boris (2012). Under the Gaze of Theory. E-flux Journal #35, May 2012. Boris Groys argues that theory is an unpopular and therefore ineffective form of advertisement for art. Theory for Groys is useful as a tool for artists to “explain what they are doing… to themselves”, to understand “what art actually is, and what the artist is supposed to do”. He begins with the premise that philosophical contemplation is a critique of art, while critical theory is in turn a critique of contemplation. For Groys the “true goal of every theory is to define the field of action we are called to undertake”. If theory is a call to action, then it is an accessory to, a precondition and vindication of practice. According to Groys, theory “calls for action that would perform – and extend – the condition of theory itself”. He claims that theory is not only informative but transformative, in other words we “perform theory” (something he distinguishes from “theory as propaganda”). Groys addresses the absence of criteria for judging the success and failure in art, with conclusions about the value of art and its role in society, life and revolution. Is there a difference between theory generated by an external authority and theory generated by artists themselves? Does theory come before action, as Groys suggests, or does it come after action, with hindsight? What role does theory play in the creation of discourses on art, and thereby on the way we understand art? 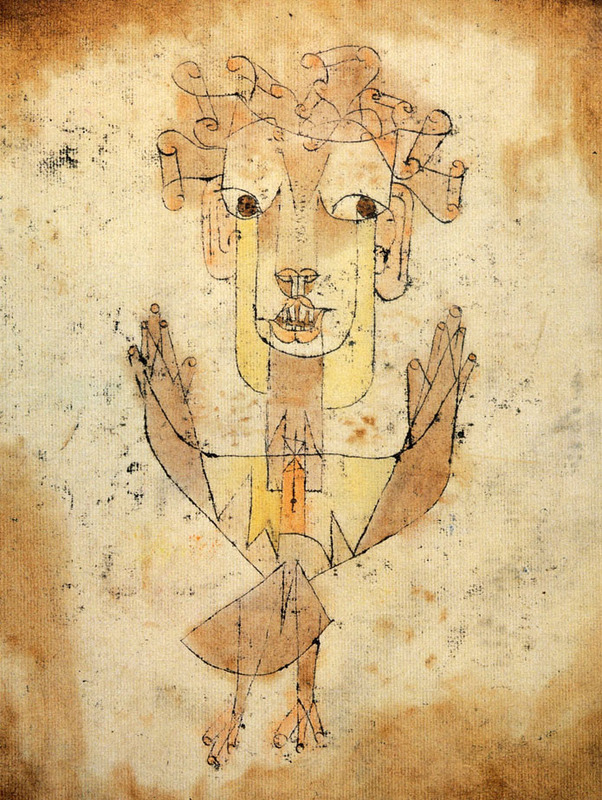 Paul Klee  Angelus Novus. Oil transfer and watercolor on paper, 31.8 × 24.2 cm. Kant, Immanuel (1996/1784). An Answer to the Question What Is Enlightenment? In Immanuel Kant, Practical Philosophy. Cambridge: Cambridge University Press, pp. 17-22. Barthes, Roland (1977). The Death of the Author. In Image Music Text. Trans. Stephen Heath. London: Fontana, pp. 142-148. Benjamin, Walter (2003). Selected Writings, Volume 4: 1938-1940. Trans. Edmund Jephcott. Howard Eiland and Michael W. Jennings ed. Cambridge, MA: Harvard University Press. Lacan, Jacques (1998/1973). Seminar XI. In The Four Fundamental Concepts Of Psycho-Analysis. Trans. Alan Sheridan, Jacques-Alain Miller ed. New York, London: Norton & Co.
Tarde, Gabriel de (1903). The Laws of Imitation. New York: H. Holt & Co.
Welsch, Wolfgang (1997). Undoing Aesthetics. Trans. Andrew Inkpin. London; Thousand Oaks: Sage Publications.